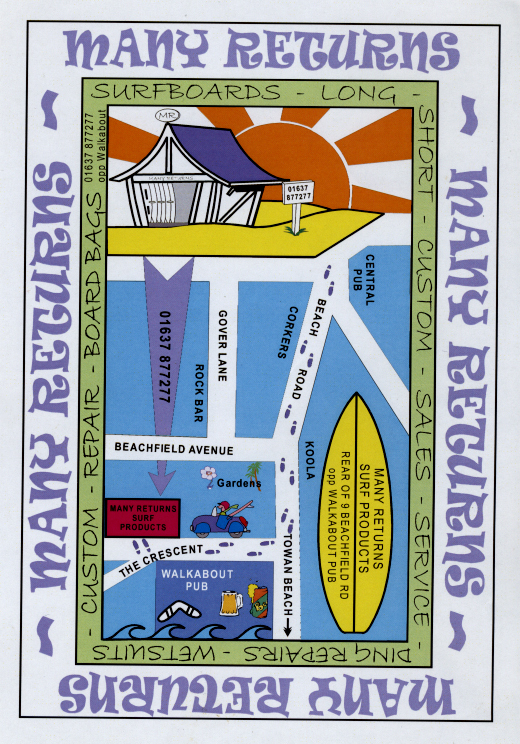 Many Returns Custom Surfboards are situated in the heart of Newquay's town centre. We are just a short walk across the road from Walkabout pub. Do not hesitate to some and see us for some advice or to view our range stock surfboards.